So many options in the Nissan Juke range, but which are worth it? A sporty look, raised SUV ride height and many customisation options make the Nissan Juke ideal for those who want to stand out. The line-up is pretty easy to negotiate too – there are five engines, four trim levels, three gearboxes and two drivetrain options. But which is the best combination? Read on to find out. Which are the best Nissan Juke engine and gearbox choices? Here you have five options, with a core of three petrol and diesels available more or less across the range and then two units available in the bottom and top trims. Starting things off is a 1.6-litre petrol only available in base-spec cars, it produces 92bhp and is paired with a five-speed gearbox. It’s not the most economical with 47mpg and 139g/km of CO2, however. Next up is a 1.5-litre diesel available across the range, called dCi 110, which has seen action in a number of Renault-Nissan Alliance cars. It provides suitable shove with 108bhp, yet claims 70mpg and 104g/km of CO2. This comes with a six-speed manual box. Two similar petrol engines are available in all but the base-spec Juke, and take the form of a 1.2-litre and a 1.6-litre. They both produce 115bhp (the smaller unit has a turbo) and promise 49mpg and 128g/km of CO2 and 44mpg and 139g/km of CO2 respectively. The smaller engine uses the six-speed manual gearbox while the 1.6-litre unit is matched to a continuously variable automatic transmission. Unless you really need an auto box we’d steer clear as it’s noisy and saps performance. Finally the top engine is a 1.6-litre turbocharged Dig-T unit available in the top two trims only. It produces 187bhp for a 0-60mph time of 7.6 seconds. It’s also only available with four-wheel drive and the CVT auto mentioned above. Despite this, it claims similar economy figures to the mid-range petrols, with 47mpg and 149g/km of CO2. Performance fans may also want to check out the Nissan Juke Nismo. Which trim level to buy on a Nissan Juke? We’ve picked out a few kit highlights here but for a full run-down make sure you visit the equipment section of our full review. As standard on all Jukes you get six airbags, a CD radio with four speakers, 16-inch alloy wheels, LED daytime running lights and air-con. Pick the base spec Visia trim and your engine choices are limited (as described above) but you get a tyre-pressure monitoring system and electrically adjustable door mirrors in addition to the standard kit. Next up is Acenta trim and this gets you Bluetooth, a USB port, larger 17-inch alloys, cruise control, and a leather steering wheel and gearknob. 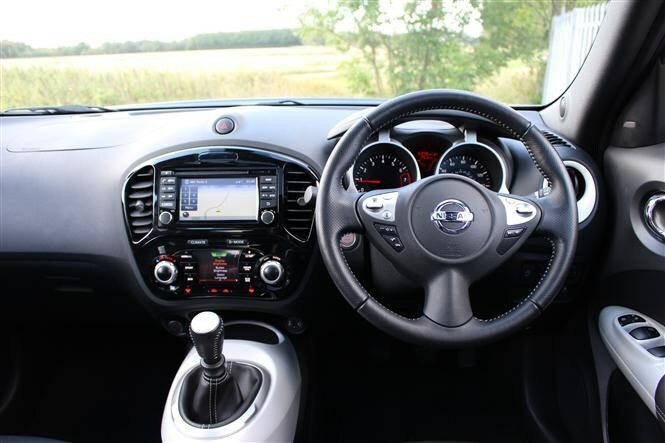 Middle of the road N-Connecta is a good balance of kit and value as it adds the NissanConnect 5.8-inch touchscreen system with sat-nav, DAB radio, six speakers, plus a reversing camera. Other additions include electric folding door mirrors, automatic lights and wipers, and sports seats. You also get the Nissan Design Studio Personalised Interior pack (more details below). Finally, top-spec Tekna doesn’t pull any punches and adds the Nissan Safety Shield (around-view monitor, lane departure warning, blind spot warning, moving object detection) plus heated leather seats. Pick either N-Connecta or Tekna trim with four-wheel drive and you also gain a torque vectoring system which enhances handling when off the beaten track and also adds a spare wheel. This does impact on the boot capacity, though. 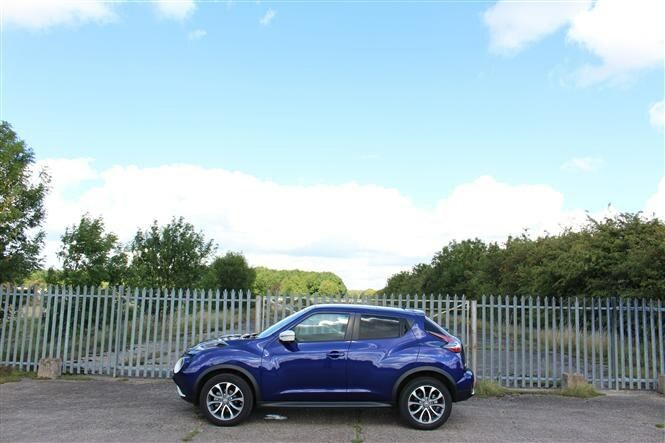 Before looking for a used Nissan Juke, check out the full details in Parkers specifications. What if I want my Juke to look different to everyone else's? 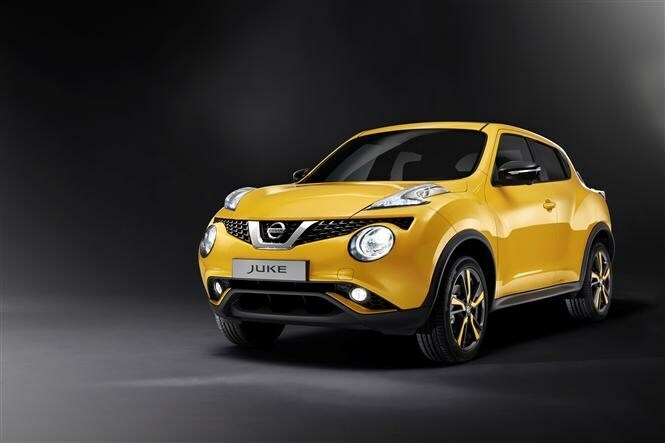 You’re in luck – customisation is one of the Juke’s strongest suits. As well as picking contrasting enhancements for the headlights, wheel inserts and bumpers, you can add flashes of colour for the door mirrors sills and spoiler too. Inside the car, the Nissan Design Studio Personalised Interior pack gives you the choice of one colour (black, red, white or yellow) for a host of interior bits like the centre console, gearknob, and air vent rings. With a sensible head on we’d advise you to avoid the four-wheel drive and automatic models unless you really need them, as both are expensive options and reduce the overall fuel economy. 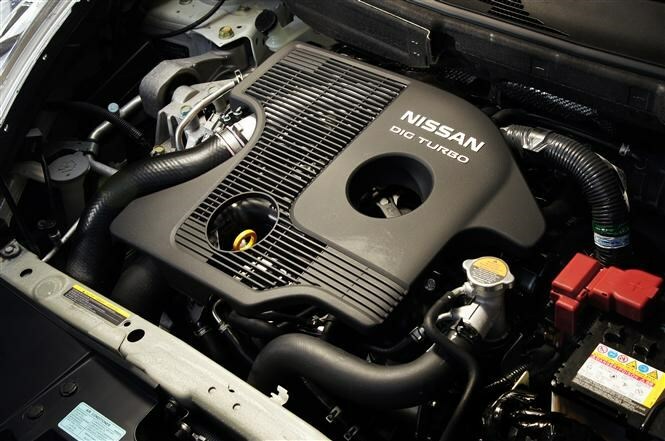 The most balanced Nissan Juke in the range pairs the 110 dCi engine with N-Connecta trim. This gets you plenty of performance, decent fuel economy and lots of kit too. If it’s petrol you’re after then the 1.2-litre Dig-T unit is surprisingly sprightly thanks to its turbocharger, and doesn’t drain your wallet for the privilege either. 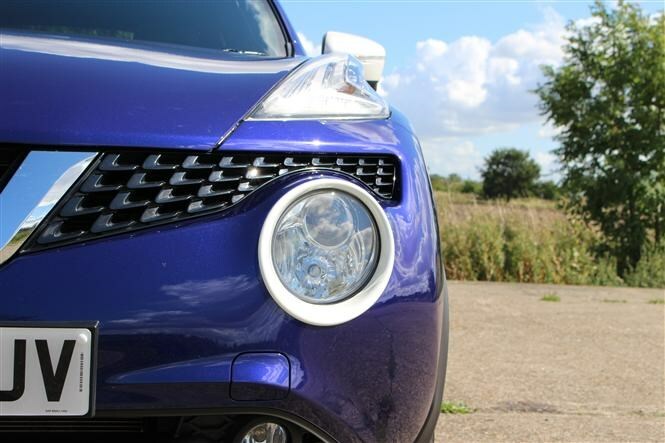 Click here to read our full review of the Nissan Juke. Make sure you check out our Cars for Sale section for the latest deals, and get a valuation on your car too. If you’re considering buying a new car on finance, make sure you visit our finance section for a quote - we work with over 20 lenders to give our customers access to more than 100 different lending options.